Love ninjas? Love pirates? Then you need our Chris the ninja pirate cuddly toy plushie! 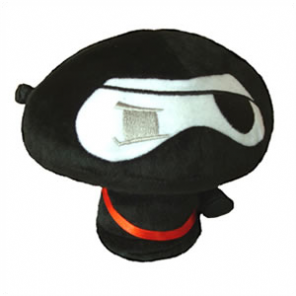 Chris the ninja pirate stands 5.5 inches tall and has a beanie base to keep him on his toes. Part of the crazy family of characters from the popular Weebl Stuff YouTube channel.